As centralized exchanges continue to suffer hacks and loss of customer funds at an alarming rate, the need for decentralized trading solutions remains critical. While there are numerous non-custodial trading options currently available, one problem has always remained — traders often have to first procure their cryptoassets on custodial platforms and then transfer them to their self-custodied wallet or decentralized trading venue. 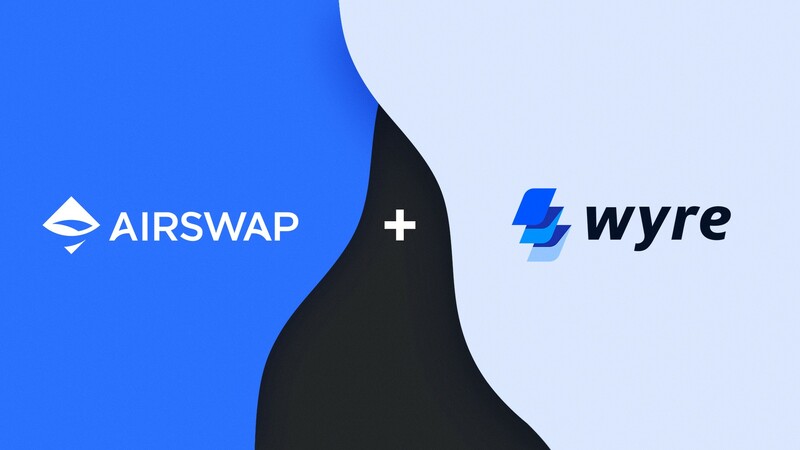 Now, thanks to our partners at Wyre (a registered money service business with licenses to operate in over 40 states), traders will be able to exchange fiat currency (USD, GBP, EUR, AUD) for cryptocurrency (ETH) — all within their self-custodied wallet using the AirSwap trading interface. This powerful integration between AirSwap and Wyre allows individuals to purchase cryptocurrency via ACH/wire bank transfers, without ever having to deposit funds onto a centralized exchange. At AirSwap, we’re firm believers in the statement, “not your keys, not your coins.” By enabling a fiat on-ramp on AirSwap, we can empower users to always maintain control of their private keys in an environment dedicated to supporting peer to peer trade. We look forward to advancing the field of decentralized, peer to peer trade alongside innovative partners like Wyre.